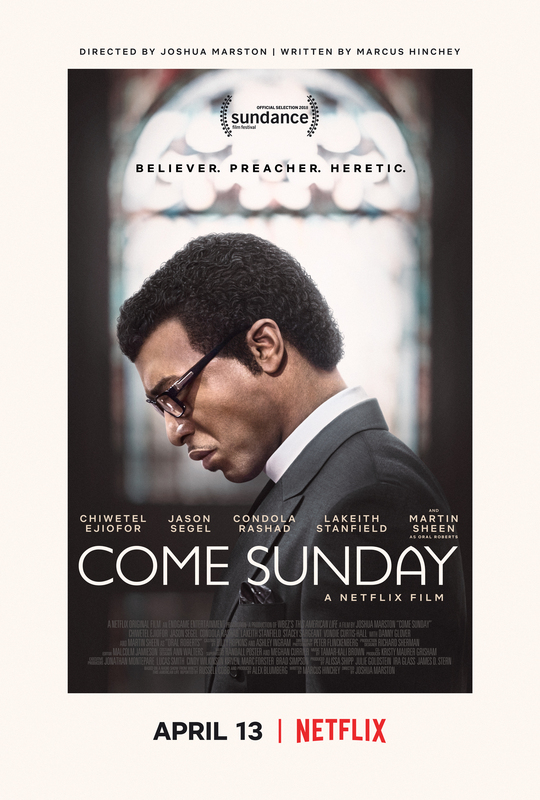 We're excited to share the first trailer for our upcoming Netflix film, "Come Sunday." Based on our episode "Heretics," the film is the story of Bishop Carlton Pearson's journey from leading a congregation to being labeled a heretic. Academy Award-nominee Chiwetel Ejiofor stars as Bishop Carlton Pearson. The movie, directed by Joshua Marston, also stars Lakeith Stanfield, Jason Segel, Condola Rashad, and Martin Sheen. Look for the movie on Netflix on April 13.